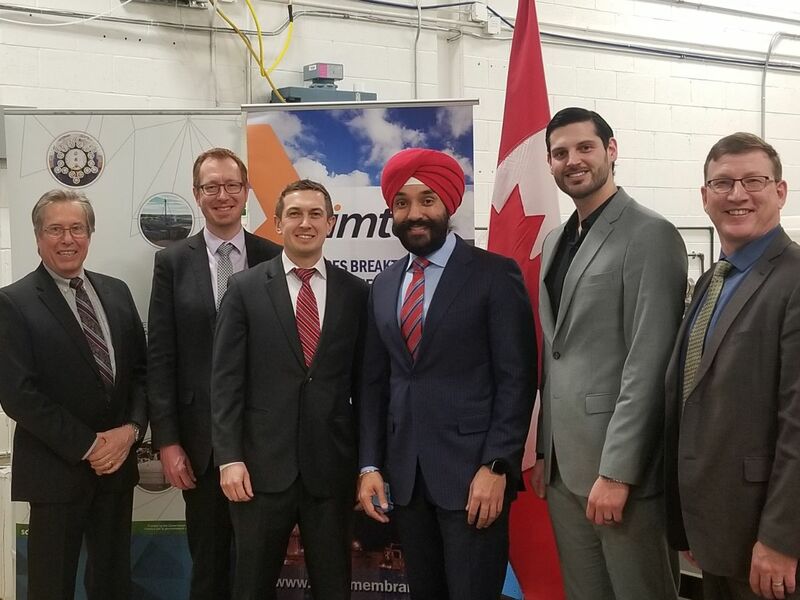 Imtex Membranes Corp., a Mississauga-based cleantech company, announced plans to construct a demonstration site at the Bio-Industrial Park Sarnia following a funding injection in late January. 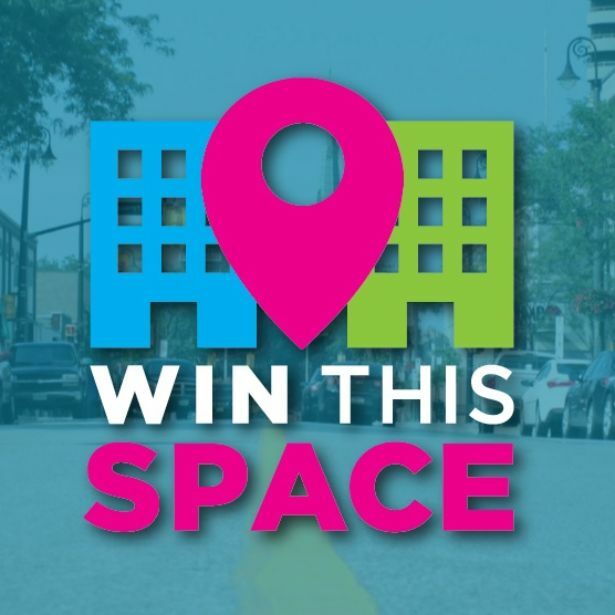 The application deadline for the Sarnia-Lambton Business Development Corporation’s ‘Win This Space’ contest is coming up soon! If you’re an entrepreneur with a great idea and in need of some help to set up a store front, check out the link below! 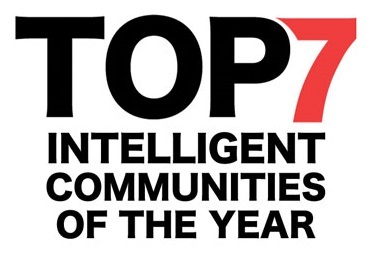 For the first time ever, Sarnia-Lambton has been named one of the world’s Top 7 Intelligent Communities by the Intelligent Community Foundation. Only one other Canadian community was included on the list. 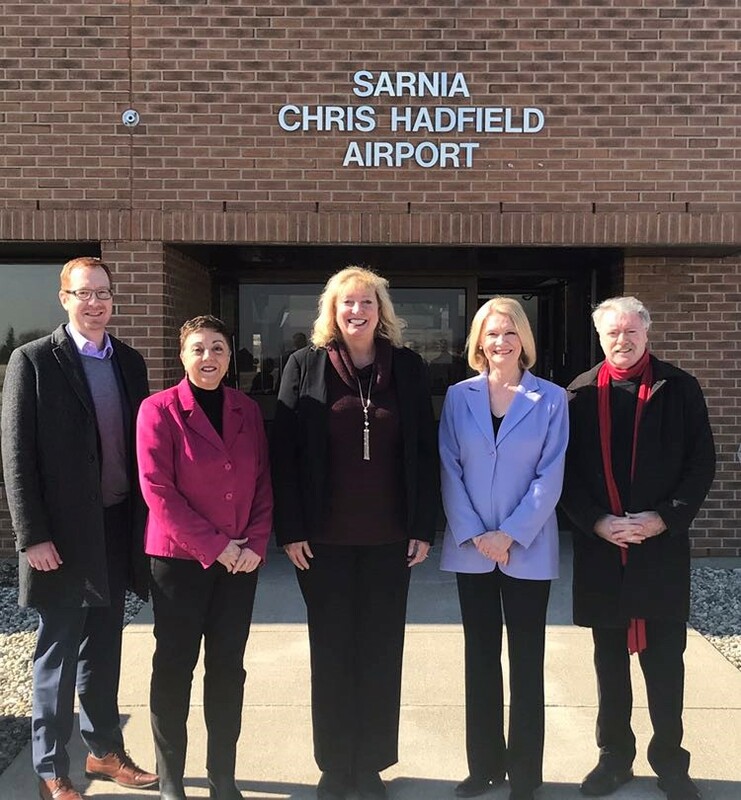 The Sarnia Chris Hadfield Airport played host to an announcement by the federal government on Tuesday, March 12, where it was revealed that the airport would be receiving $580,000 in funding for safety and infrastructure upgrades. 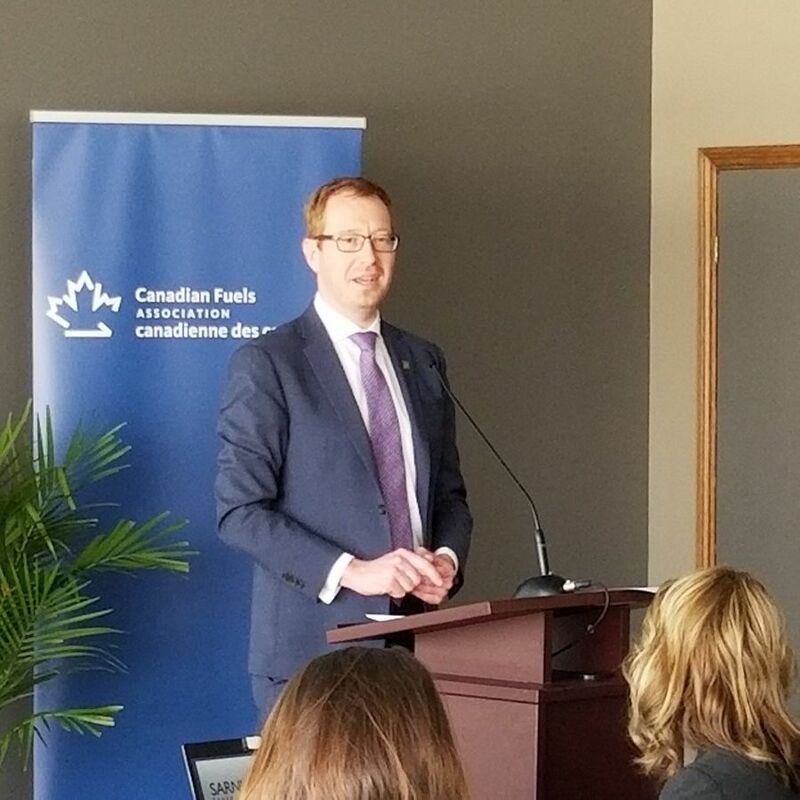 Sarnia-Lambton Economic Partnership CEO, Stephen Thompson, recently spoke at a Canadian Fuels Association event held in Sarnia where the impact of refining on the Ontario economy was discussed. 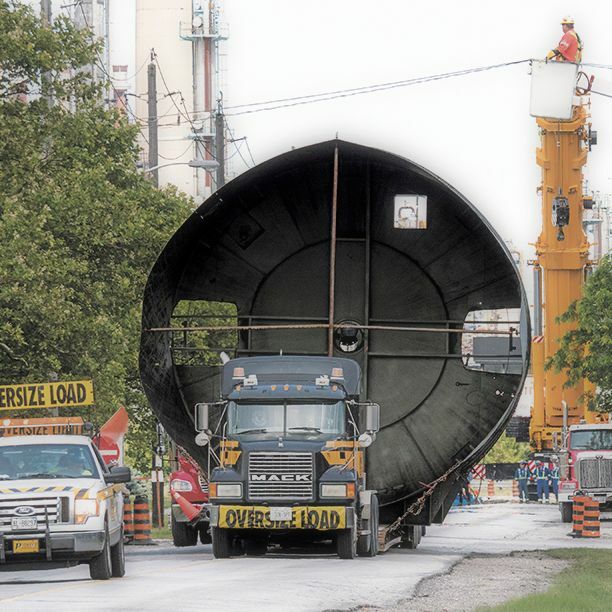 Lyle Johnson, manager of the Oversized Load Corridor project, announced to County of Lambton Council in early February that work on the Oversized Load Corridor will begin this year, with approximately $2,000,000 of work to be done by December. The Sarnia-Lambton Economic Partnership attended the annual Economic Developers’ Council of Ontario Conference and Showcase in Toronto in late January where staff members were about to gather with other Economic Development Officers from around the province and discuss issues facing the economic growth of the Sarnia-Lambton area, the province, and the country as a whole. 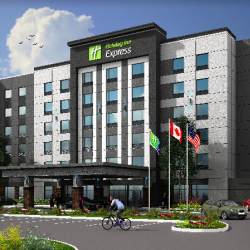 Construction on a new Holiday Inn Express on Venetian Boulevard in Point Edward is progressing positively with a possible opening expected between July and September. Approximately 22 full time jobs are expected to be created when the hotel opens. 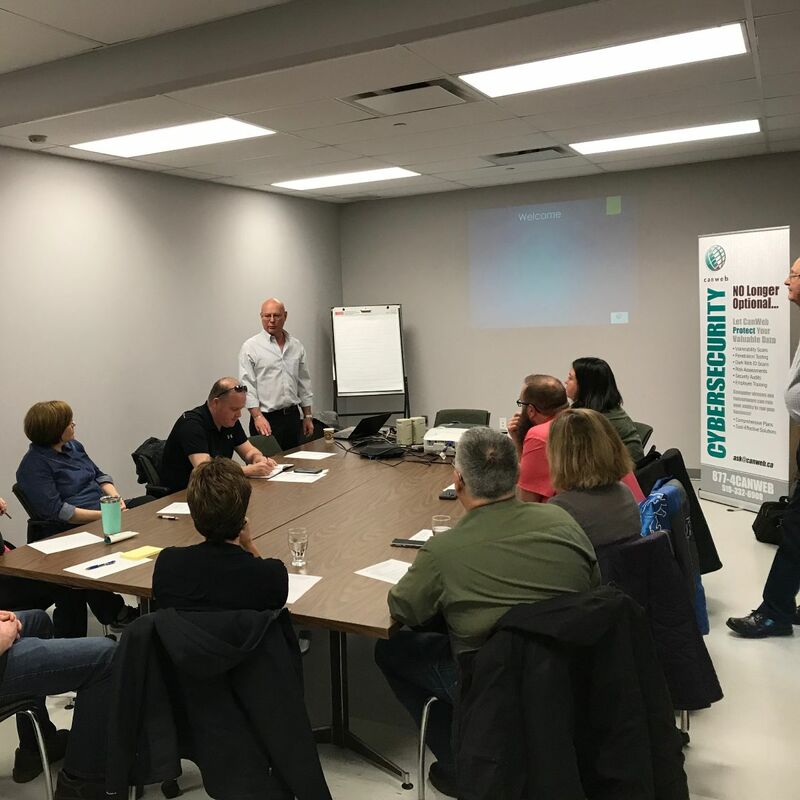 The Business Enterprise Centre of Sarnia-Lambton regularly hosts free seminars geared towards providing information and training for businesses and entrepreneurs in the Sarnia-Lambton area. On April 16, the Business Enterprise Centre will be hosting a Canada Revenue Agency seminar with information and tips for small businesses. Stay tuned to www.sarnialambton.on.ca for more information and other upcoming BEC seminars. 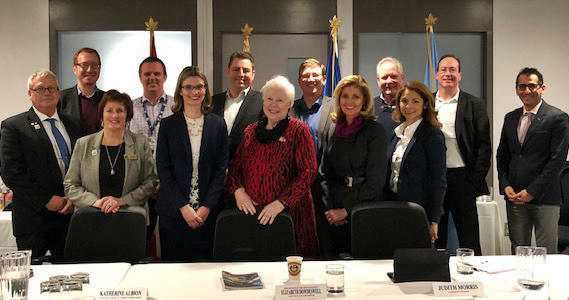 The Sarnia-Lambton Economic Partnership recently participated in a joint meeting with Lieutenant Governor, Elizabeth Dowdeshell, and a number of key partners at the Western Sarnia-Lambton Research Park. Intelligent Sarnia-Lambton receives community feedback. 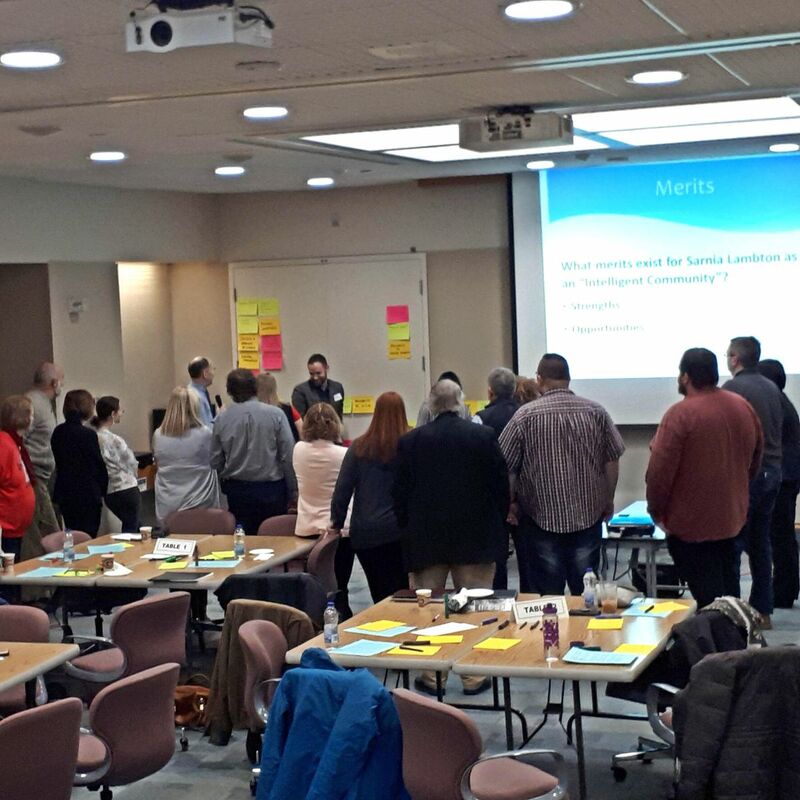 The Intelligent Sarnia-Lambton Taskforce, fresh off of helping the region earn a nod as one of the world’s Top 7 Intelligent Communities, hosted a trio of community input sessions in early February in an effort to get as much public feedback as possible on a community strategy moving forward. 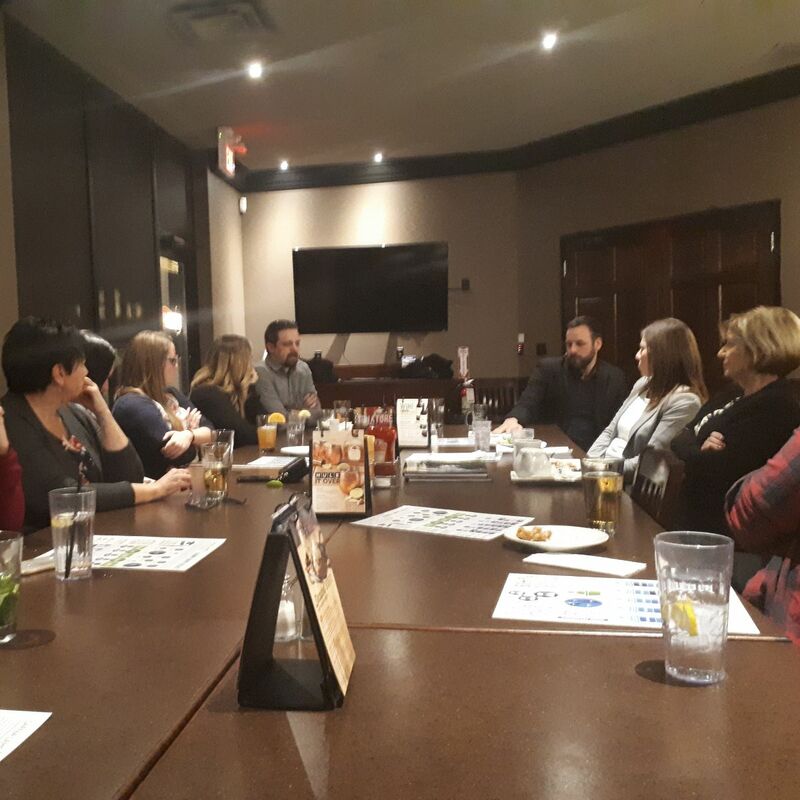 The Sarnia-Lambton Economic Partnership’s Alumni Network Project hosted six events in February and March aimed at connecting like-minded individuals in the Sarnia-Lambton area with a large turnout rate. More information on future Alumni Network Project activities will be made available as they become finalized. 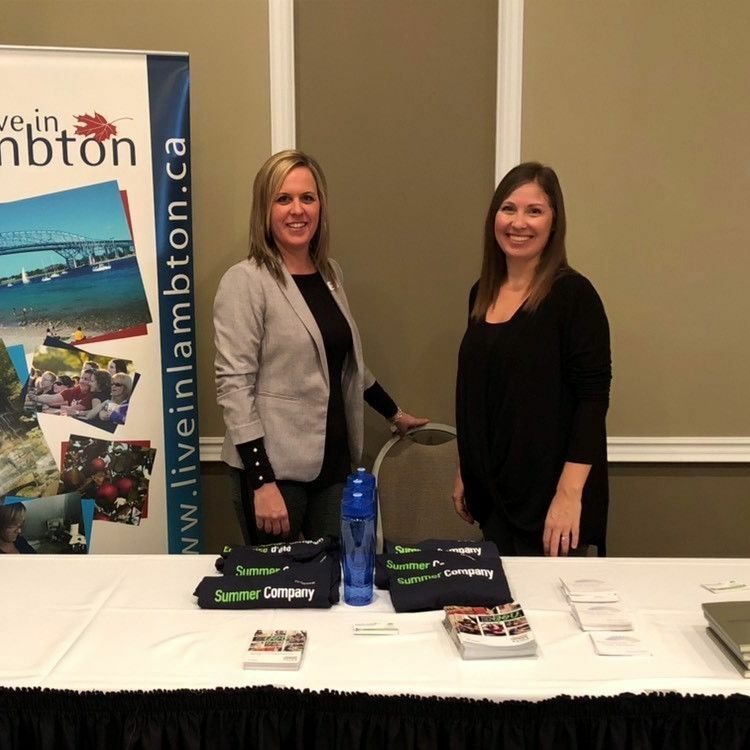 The Sarnia-Lambton Economic Partnership exhibited at the Lambton College Career Fair on Thursday, Feb. 7 where staff members Cari Meloche and Chantelle Core promoted the Summer Company Program. Are you a student between the ages of 15 – 29 and interested in running your own company this summer? Contact Chantelle at chantelle@sarnialambton.on.ca for more info! 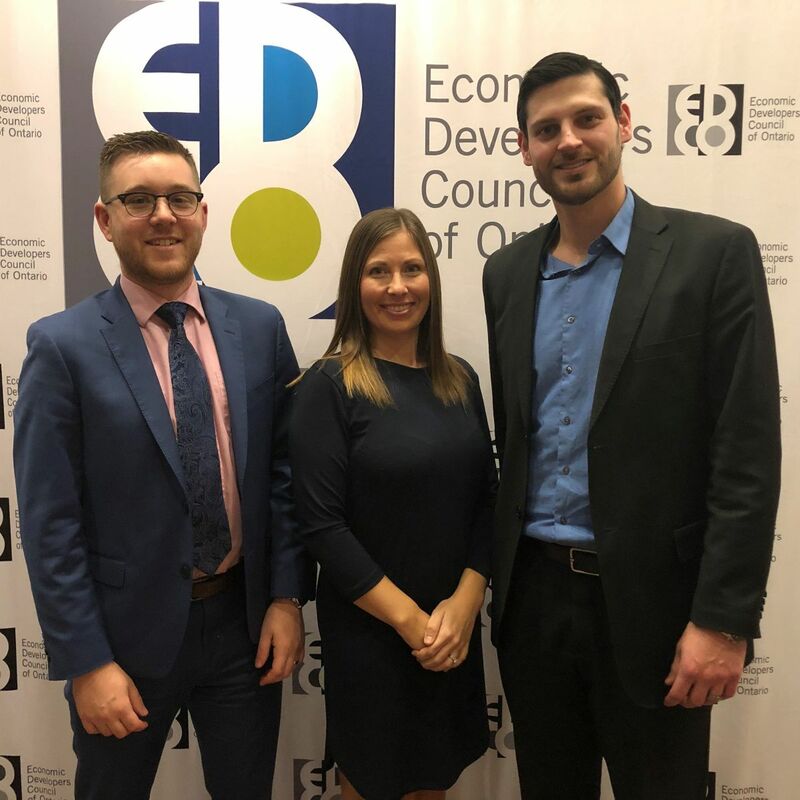 The Sarnia-Lambton Economic Partnership has embarked on a multi-year business outreach initiative focusing on existing businesses across all municipalities in the Sarnia-Lambton area. The Economic Partnership is working closely with municipal staff to select businesses to reach out to in 2018. The goal of this initiative is to develop stronger relationships with existing businesses in our community. This initiative is an internationally-recognized economic development approach by which existing local businesses are visited and interviewed to identify some of the issues limiting retention and expansion. Businesses of all sizes and sectors work one-on-one with staff to discuss business operations and uncover issues and opportunities that may impact future plans and overall growth and success. Want to increase the likelihood of your own business success and expansion? If so, contact chantelle@sarnialambton.on.ca or call (519) 332-1820 to initiate a meeting with a member of our team. The Economic Partnership will arrange a time to visit your business and identify barriers affecting your business and propose local solutions. Want to attract more people to your business? List yourself on our business directory! 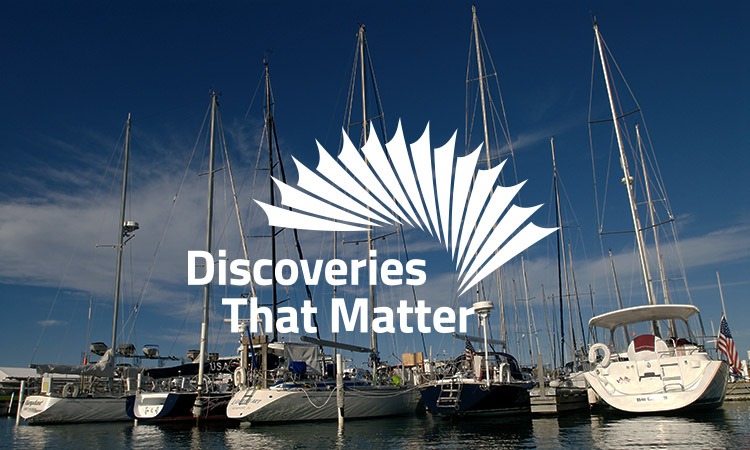 Containing over 3000 businesses in the Sarnia-Lambton area, the Sarnia-Lambton Economic Partnership business directory is a comprehensive list of all the services offered in the region. 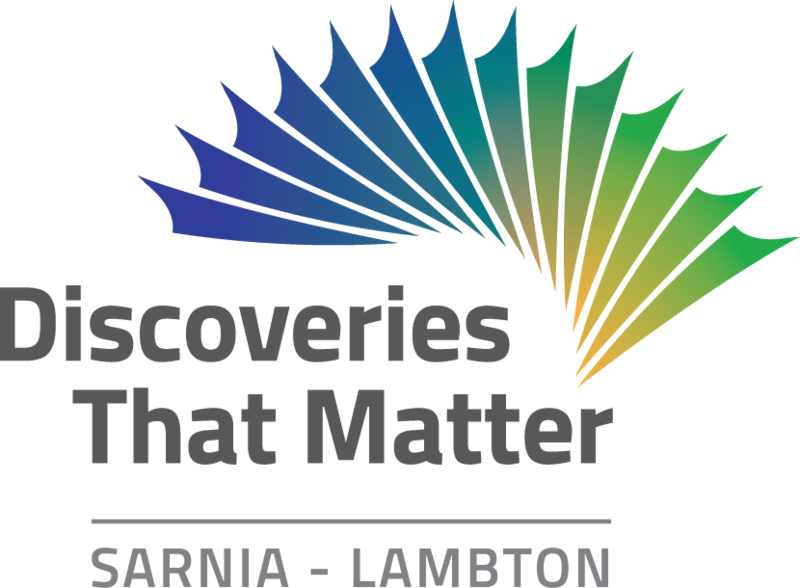 Copyright © 2017 Sarnia-Lambton Economic Partnership, All rights reserved.